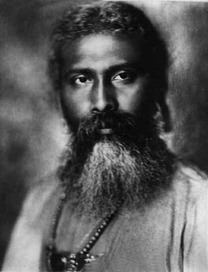 Join us as we celebrate the creativity, inspiration and ﻿﻿spiritual ﻿﻿﻿﻿﻿genius ﻿﻿﻿of Hazrat Inayat Khan, the first great Sufi master to come to the West more than one hundred years ago. During the evening we will sing and dance to his music and poetry, drawing from a deep cup of inspiration. Wir feiern die schöpferische Kraft, die Inspiration und den spirituellen Genius von Hazrat Inayat Khan, der vor mehr als hundert Jahren als erster großer Sufimeister in den Westen kam. Während des Abends werden wir zu seiner Musik und seinen Aussagen singen und tanzen. Travel: 3 minute walk from the tram and U-Bahn station Max-Weber-Platz, and approximately 12 minutes from the Ostbahnhof railway station. Sign up to the newsletter for Germany and stay informed of future events. The newsletter will normally be sent no more than three or four times a year and you can unsubscribe at any time.